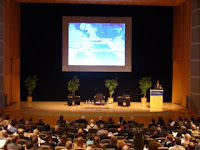 The two-day bunfight that was the 2007 Carnegie International Non-Proliferation Conference concluded yesterday with a fascinating discussion in the Ronald Reagan Center ampitheatre with Mark Hibbs, the legendary reporter for 'Nucleonics Week'. According to Joe Cirincione and Matthew Bunn, who were tasked with quizzing Hibbs for his insights, he's broken more nuclear stories than anyone else on the planet in his long career. There isn't space here to recount in detail what Hibbs said. But in 3 or 4 weeks from now a transcript of the discussion should appear on the Carnegie Endowment's website (a summary might appear in the next day or two). 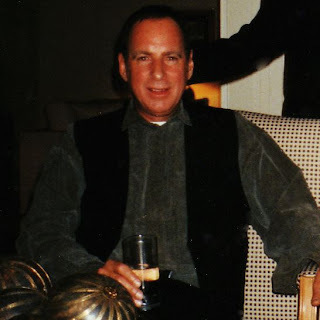 Hibbs, a North American, has lived in Europe for many years, and has traveled throughout the world in the course of researching and breaking stories related, for instance, to the A.Q. Khan illicit nuclear smuggling network. He was quizzed on this and other subjects. One observation Hibbs made was that, in his view, U.S. standing in the world on nuclear non-proliferation in recent years has been reduced. He said he believed there was a perception in many parts of the world that Washington is willing to make exceptions to suit its friends that undermine the global non-proliferation regime - the U.S. nuclear deal with India, which is not a member of the nuclear Non-Proliferation Treaty, comes to mind - and that it and the other nuclear weapon states lack commitment to nuclear disarmament. Now, of course, it can be (and is) argued that the five NPT nuclear-weapon states do take their obligations seriously, and it is geopolitical conditions - not lack of political will - that explains their lack of progress in nuclear disarmament efforts over the last decade. They have only to point to Iran and North Korea. Certainly, this sort of reasoning in public underpins the recent British decision to renew its Trident arsenal. However, as I pointed out in my last post, "disarmament" has fallen out of favour in Washington, Paris, and to a lesser degree in London, in the last few years both as a word and a concept. This has been noted by the nuclear weapon have-nots and resentment about it has simmered in the NPT review process itself (See "The NPT: here we go again?") Dismissing this gathering discontent would be perilous. For the NPT regime to dissolve in acrimony would be incredibly damaging to the nuclear weapon states' interests beside everyone else's. So it's welcome that, if the Carnegie Conference is any guide, re-exploring disarmament may no longer be taboo in the broader U.S. arms control community (only time will tell). And while the tough official line from an administration skeptical of the 'D' word is not likely to change much in substance for the time being, the recent NPT preparatory meeting in Vienna shows it's softening in tone. Often, there's an assumption among Western policy analysts and policy makers - one that goes back at least as far as Hans Morgenthau - that "hard" forms of power govern how the world works and that it's a coldly rational place. Sometimes this is even true. But even weak countries can collectively thwart what, on the face of it, are actions that would benefit everyone if carried out diligently (for instance, extra nuclear safeguards) if they're burning with a sense of inequity. They can do this simply by dragging their feet. Not even UN resolutions like UNSC 1540 designed to shake the stick on national compliance may be enough. I saw an example of the powerful effects of inequity on behaviour a few weeks ago at a Disarmament Insight initiative symposium we hosted in Geneva. Primatologist Frans de Waal showed assembled diplomats and others a video of an experiment his researchers had performed with two monkeys over pieces of cucumber and grape. While both monkeys were given cucumbers for simple tasks they were each content. When one was switched to yummier juicy grapes, though, the other monkey became increasingly upset and angry and eventually threw away its perfectly good cucumber in protest at not getting a commensurate reward for its efforts. No-one should argue that nuclear non-proliferation efforts aren't vital. But it's worth nuclear weapon states reflecting on how their continued possession of nuclear weapons looks from the cucumber-eating side of the shop, especially when they rely on it for cooperation. This was a perspective that Hibbs served to highlight in a different form of words. Carnegie's Conference website is here. 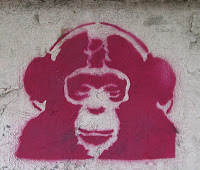 The podcast we prepared of Frans de Waal's talk on "War and Peace and Primates" at our 25 May workshop is here. Sarah F. Brosnan & Frans B.M. de Waal, "Monkeys Reject Unequal Pay", Nature, vol 425, pp. 297-299, September 18, 2003. 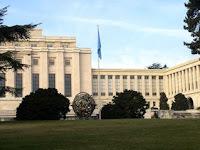 Friday it was the Convention on Certain Conventional Weapons expert meeting in Geneva, Monday it’s the Carnegie Non-Proliferation Conference in Washington D.C. It’s a jet-set life, and I have the jetlag to prove it (cue: yawn, hair swish. Eat your heart out Paris Hilton). In disarmament and non-proliferation terms, the U.S. scene is a bit of a fish bowl. Viewed from the outside certain things in there can seem distorted, and from the inside the outside world is definitely distorted. So it’s useful from time to time to dunk one’s self into it to try to get a sense of what’s really going on, hence Carnegie. The last Carnegie Conference I attended was, I think, in 2002. At that time the U.S. was still reeling from the September 11 attacks and there was some uncertainty as to which direction the Bush Administration would go in arms control terms. A lot has changed in the intervening five years, but some things remain the same. The Carnegie Conference itself remains – unsurprisingly – overwhelmingly American in the composition of its participants, albeit with a smattering of Eurotrash and others like me. The coffee is still bracingly North American bad. And, after years of fierce noises and metaphorical hand smacking from the government arms control establishment here whenever the D-word “disarmament” is mentioned, the concept still seems almost entirely excised from the collective vocabulary of American-based thinktankers and policy makers – despite it remaining alive and well in other parts of the world, for instance in the output of the Weapons of Mass Destruction Commission. But the wind seems to be changing direction. This morning, Senator Sam Nunn signaled the changed by wearing his newfound commitment to nuclear disarmament on his sleeve in remarks to the Conference. Although head of the Nuclear Threat Initiative, Nunn had until recently apparently considered talk of disarmament as irresponsible. Not now. In nuclear proliferation terms, he said, the world was in "a perfect storm". Meanwhile, although six months old, there is still buzz about Nunn’s Wall Street Journal op-ed with Henry Kissinger, George Schultz and Bill Perry – not a pinko, liberal among them - calling for a world free of nuclear weapons. Arms control greybeards (there are plenty of them here) are still pinching their arms in confusion. Bold words and a good speech outlining some constructive, albeit modest, steps the U.K. is taking or is prepared to take in company with others. From where I was sitting I certainly felt Beckett’s conviction. And it sent a firm signal nuclear disarmament is going to assume some priority for incoming British Prime Minister, Gordon Brown. It remains to be seen, of course, what influence this will have on Gordon Brown’s counterpart dwelling just a couple of streets away on Pennsylvania Avenue, or how much political capital Britain will be ultimately prepared to expend to this end. But although there were many sobering issues to consider during today’s discussion (Iran, North Korea, nuclear terrorism to name but a few) Beckett’s statement was welcome indeed. Signs of renewed progress toward a nuclear-free world would be even more welcome. 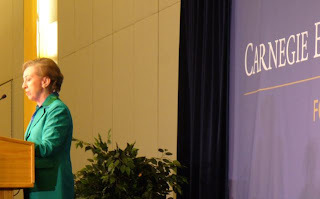 Transcript of British Foreign Minister Margaret Beckett’s speech is here. The Wall Street Journal op-ed by Nunn etal is here (subscription required). An interesting 25 February New York Times article analyzing Nunn’s change of heart (apparently thanks in part to media mogul Ted Turner) is here. The WMD Commission’s report and other resources are here. The 24 June FT article is here. Cluster Munitions: "A change of heart, or of tactic?" That was the title of an article on the website of 'The Economist' yesterday about manoeuvring by countries over emerging responses to the humanitarian problems cluster munitions pose. Its particular focus was on an announcement by the United States early this week, something we'd already reported on in the Disarmament Insight blog (see previous posts). At lunchtime today, the Group of Governmental Experts (GGE) of the Convention on Certain Conventional Weapons (CCW) wound up its work, having agreed on a Procedural Report to send to the Convention's Meeting of States Parties in November. "Recognising the serious humanitarian concerns associated with the use of cluster munitions and having engaged in a substantive discussions on the application and implementation of existing humanitarian law to specific munitions that may cause explosive remnants of war, with particular focus on cluster munitions, including the factors affecting their reliability and their technical and design characteristics, the GGE, without prejudice to the outcome, recommends to the 2007 Meeting of the High Contracting Parties to the CCW to decide how best to address the humanitarian impact of cluster munitions as a matter of urgency, including the possibility of a new instrument. Striking the right balance between military and humanitarian considerations should be part of the decision. The 2007 Meeting should take into account all documents put forward at the 2007 session of the GGE, as well as any other relevant documents and proposals." Not exactly a paragon of conciseness and clarity. What does it mean in plainer language? Essentially what it means is that all of the countries represented at the GGE meeting can agree on recommending to the Meeting of States Parties that the latter make some sort of decision about whether and how the CCW is to address humanitarian impacts of cluster munitions. But it doesn't give a clear pointer on what that decision should be. In effect, it's a shrug and a good luck handshake for further work in a process in which states remain divided over whether there should even be a negotiation, let alone its scope. But four traditional opponents of agreement to any negotiation - Russia, China, Pakistan and Cuba - gave no indications of any changes of heart. Instead, as a hotch-potch of safety clauses and language balancing (the result of delicate consultations by the CCW Chair (Latvia) with various parties at the meeting) the GGE's recommendation is more significant for not containing a clear recommendation for a negotiation to commence. Nevertheless, a number of CCW members publicly congratulated themselves today on the recommendation being achieved. And, with a nervous eye to the emerging 'Oslo Process' to negotiate a global treaty on cluster munitions including a ban on those causing "unacceptable harm to civilians", they held it up as proof that the CCW should be the forum for addressing concerns about the weapon. This view seems somewhat premature to me. I'm a strong supporter of the CCW, and recognise the practical value the Convention and its existing protocols offer. But for years, until its Review Conference last November, the CCW barely discussed cluster munitions at all unless in the context of explosive remnants of war. The reality is that humanitarian concerns about cluster munitions, especially resulting from use in Lebanon last summer, contributed to the emergence of the Oslo Process. Together they have contributed in large part to this new context in the CCW. Without fear of a parallel international process ("complementary and mutually reinforcing" to the CCW in the view of the UN) and outside activities like the International Committee of the Red Cross Expert Meeting in Montreux in April, I wonder if even today's modest call for a decision to be made in November would have come about. So whether they acknowledge it or not, supporters of a negotiation in the CCW - as preferable to one outside it - already owe the Oslo Process a debt. And if, as seems on balance likely, the CCW can't achieve a robust negotiation mandate in November, those who at present say they prefer a CCW negotiation may have an additional reason to be grateful for the Oslo Process. The next meeting of the Oslo Process in Vienna in early December will enable them to make good on the commitments they've made at the national level - and, for many, in the Oslo Declaration - to tackle the humanitarian effects of cluster munitions. In other words, it's the best insurance against uncertainty about whether adjustments of national posture are really "of heart or of tactic" in the CCW . The Economist, "A change of heart, or of tactic? ", 21 June 2007, available here. Official documents and proposals in the CCW are accessible here. This week's Group of Governmental Expert (GGE) meeting of the Convention on Certain Conventional Weapons (CCW) continues. Not an exciting header for a posting, I know. But then so far it hasn't been a terribly eventful meeting - especially for those of us who heard many of the presentations being delivered there two months ago in Montreux at the International Committee of the Red Cross expert meeting on cluster munitions. This doesn't mean the GGE hasn't been without interest. Earlier this week I suggested that it might reveal indications about the intent of various players on how or whether to move ahead on addressing the humanitarian problems cluster munitions pose in the CCW. This is something that has potential implications for the so-called "Oslo Process" (see previous posts), which is proceeding in parallel and with many CCW members participating in it. On Monday afternoon, Reuters reported that the U.S. head of delegation to this week's GGE told journalists in Geneva, "The United States supports launching negotiations on a global treaty to reduce civilian casualties from cluster bombs, but does not back a ban on the weapons". The U.S. said any negotiations would need to be in the CCW. Curiously, the U.S. has - so far - not mentioned this in the GGE, let alone introduce a specific proposal, although it has spoken at length on other matters related to cluster munitions. Also, the Reuters report lacked details about what a U.S. proposal negotiating mandate on cluster munitions, if it emerged, might contain beyond "looking at improving their reliability, accuracy and visibility". It's possible that the U.S. is sending a signal to the European Union that it might be willing to bargain over the latter's proposal, which is already on the table, rather than launching its own. But the EU proposal appears to go considerably further than the issues mentioned by the U.S. above. In any case, no decision can be made on a negotiating mandate until the CCW Meeting of State Parties in November. In theory, the GGE could agree to recommend to the November meeting that it start negotiations on a new treaty in the CCW in 2008. But with only a day of talks left and countries like Russia and China indicating no change to their previous opposition to a negotiation this seems unlikely (although by no means impossible). "U.S. open to negotiations on cluster bombs but no ban", 18 June 2007, available here. The Disarmament Insight initiative aims to encourage disarmament practitioners to think differently about human security. In line with that aim, the Disarmament Insight initiative held its second symposium, entitled “Human Security, ‘Human Nature’ and Trust-building in Negotiations”, at Château de Bossey near Geneva on 25 May 2007. To stimulate fresh thinking and discussion, we invited some outstanding speakers including Frans de Waal, one of the world’s foremost authorities on ape behaviour and author of books including Chimpanzee Politics (1982) and Peacemaking Among Primates (1990) and Paul Seabright, economist and author of The Company of Strangers: a Natural History of Economic Life (2004). As usual, we recorded talks in order to put them up on the website. Today, we have the pleasure to announce the release of Frans de Waal’s presentation: “War and Peace and Primates”. In his talk, Frans de Waal explores what multilateral practitioners can learn from our closest relatives in the animal kingdom, including the chimpanzee and the bonobo, about negotiating, the nature of conflict and reconciliation. 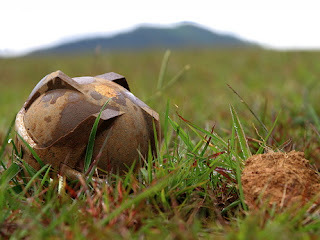 Cluster munitions: "I feel a disturbance in the Force ... "
This week, experts from States Parties to the Convention on Certain Conventional Weapons (CCW) - sometimes known as the Inhumane Weapons Convention - will meet in Geneva. To consider further the application and implementation of existing international humanitarian law to specific munitions that may cause explosive remnants of war, with particular focus on cluster munitions, including the factors affecting their reliability and their technical and design characteristics, with a view to minimizing the humanitarian impact of these munitions." - As such, all eyes are on the reactions of some of the big cluster munition user states like the United States, Russia and China. Until now, these countries haven't been keen to negotiate new legal rules on cluster munitions in the CCW. But they can't have been blind to international political momentum that's developed since a Norwegian-sponsored conference in Oslo in February that committed 46 countries to negotiation of a treaty in the CCW or outside it - a group that continues to grow in number. It's unlikely that many states previously opposed to a negotiating mandate in the CCW have had a sudden change of heart, at least not on a mandate as envisaged in the Oslo Declaration. But, tactically, should they resist agreement of a negotiating mandate in the CCW or go along with the EU's text? Or should they try to water down such proposals or/and present one of their own? This week we may see some indications of intent. In late February, the new UN Secretary-General, Ban Ki-moon, described the CCW and work in Oslo as "complementary and mutually reinforcing". From a humanitarian point-of-view, it could be argued that this is already borne out by the disruptive effect that Oslo has had on the CCW's previous status quo in which the humanitarian effects of cluster munitions remained relatively peripheral. It remains to be seen how things play out though, and we'll try to bring you more updates in the course of this week. Academics, it might be argued, have the luxury of thinking outside the box in a way that isn’t open to diplomats and policy-makers. Instead, the latter have to apply worst-case thinking because there are no guarantees about the current and future intentions of potential adversaries. But ‘playing it safe’ in this way ignores the possibility that others might be arming out of fear and not malevolence. And if both sides are arming out of fear and mistrust, the result could be a vicious circle of power and security competition no one wanted. The fundamental problem, as the British historian Herbert Butterfield pointed out over half a century ago, is that diplomats “may vividly feel the terrible fear that [they] have of the other party, but [they] cannot enter into the [others] counter-fear, or even understand why [they] should be particularly nervous”. He added that it’s ‘never possible for you to realise or remember properly that since he cannot see the inside of your mind, he can never have the same assurance of your intentions that you have’. This is the security dilemma, a key research area of the David Davies Memorial Institute of International Studies (DDMI) at the University of Wales Aberystwyth. The security dilemma confronts all groups in a condition of anarchy (defined as the absence of a central authority) and it arises from the existential condition of uncertainty that characterises all human relations. Analysing these kinds of situation was a major focus of international relations theory during the Cold War. Far from belonging to a bygone era, however, security dilemmas require further careful study because they’re still prevalent – and very dangerous – today. Recognising this, the DDMI held a workshop in Aberystwyth on 4 May focusing on the ‘Nuclear Security Dilemma in Northeast Asia’, gathering together a diverse bunch of diplomats, academics, and researchers. One contributor to the workshop argued that what motivated North Korea in its nuclear ambitions is ‘fear – fear of the United States, fear of China, and fear of Japan’. Others maintained that North Korea has nothing to worry about because it knows the United States and South Korea would never attack it. But the DPRK has not been so easily reassured. Building upon Butterfield’s core contention, three decades ago Robert Jervis highlighted the psychological dynamics that blind policy-makers to recognizing how their ‘own actions could be seen as menacing and the concomitant belief that the other’s hostility can only be explained by its aggressiveness’ (see the references below). The danger is that if the White House believes the DPRK knows that the United States is not a threat, Pyongyang’s arming must indicate aggressive intent. Other possible interpretations of North Korea’s motivations abound, underlining the challenges involved in seeing security dilemmas and the full range of responses clearly. The negative consequences of groups and individuals failing to enter into the counter-fear of others is exacerbated if decision-makers operate with benign self-images that blind them to how their actions and behaviour might be seen as threatening by others. What’s more, the converse of a benign self-image is the attribution of a malign image to the character and actions of adversaries. Ken Booth and I call this ‘ideological fundamentalism’ in our forthcoming book on the security dilemma. Governments operating with such a mindset are blinded to the possibility that the other side might have legitimate grievances and security interests. The security dilemma facing governments with peaceful intent is whether to risk a trust-building move in a world where there can be no guarantees about the current and future intentions of others. Even if actors can enter into the counter-fear of others, they might be so fearful that acting on this will place them in a vulnerable position should their trust prove misplaced, that they feel unable to take such a risky leap of trust. This situation seems to characterise the nuclear standoff on the Korean peninsula. Should we assume the worst about Pyongyang’s motives and intentions and prepare for a showdown before they become too strong? Or does such a path risk a terrible war - perhaps one in which nuclear weapons might be used? Given the costs and risks of such a conflict, surely the prudent course lies in trying to reassure rather than provoke the regime in Pyongyang. Diplomats and policy-makers need to understand how their adversary might be acting out of fear (remembering that ambition is sometimes in play), including crucially, the role that their own actions may play in provoking that fear. This was the challenge thrown down by Butterfield, and it guides the DDMI’s new project on ‘Trust-Building in Nuclear Worlds’. Our workshop on 4 May was the first in a series aimed at exploring with practitioners the possibilities of exercising empathy of this kind: it remains to be seen whether decision-makers in the United States and the DPRK can make the leaps of trust that might lead eventually to the denuclearisation of the Korean Peninsula. This is a guest blog by Professor Nicholas J. Wheeler. Professor Nicholas J. Wheeler is Director of the DDMI. You can also read a piece by Disarmament Insight contributor John Borrie on the DDMI’s website by clicking here. Bleiker, R. (2005) Divided Korea: Toward a Culture of Reconciliation, Minneapolis, MN: University of Minnesota Press. Booth, K. and N. J. Wheeler (forthcoming 2007) The Security Dilemma: Fear, Cooperation and Trust in World Politics, Palgrave: Macmillan. Butterfield, H. (1951) History and Human Relations, London: Collins, pp. 9-37. Collins, A. (2000) The Security Dilemmas of Southeast Asia, Basingstoke: Palgrave Macmillan. Glaser, C. L. (1990) Analysing Strategic Nuclear Policy, Princeton, NJ: Princeton University Press. Jervis, R. (1976) Perception and Misperception in International Politics, Princeton, NJ: Princeton University Press. Johnston, A. I. (2004) ‘Beijing’s Security Behaviour in the Asia-Pacific: Is China a Dissatisfied Power?’, in J. J. Suh, P. J. Katzenstein and A. Carlson (eds), Rethinking Security in East Asia, Stanford, CA: Stanford University Press, pp. 34–97. Kydd, A. H. (2005) Trust and Mistrust in International Relations, Princeton, NJ: Princeton University Press. Suh, J. J. (2006) ‘Producing Security Dilemma out of Uncertainty: The North Korean Nuclear Crisis’, Mario Einaudi Centre for International Studies, Cornell University, October 2006. More about the DDMI’s work on trust-building, including a rapporteur’s report about its recent workshop, can be found here and here. In 1997, negotiations in the Conference on Disarmament (CD) in Geneva on a Comprehensive nuclear Test Ban Treaty had recently been completed. Internationally there were widespread hopes that further negotiations would soon commence on fissile materials, and then further steps toward nuclear disarmament as part of the post-Cold War peace dividend. The CD just needed to settle a couple of niggles concerning its work programme first. Into this environment arrived New Zealand's first Disarmament Ambassador, a flamboyant character named Clive Wallace Pearson. Clive was highly experienced in bilateral and trade diplomacy in various posts around the world, including as New Zealand's first Ambassador to Turkey. But he later said that nothing prepared him for the peculiarities of multilateral arms control negotiations, certainly not the baffling acronyms and the "late-night foul smelling rooms" he would spend so much time in during multilateral disarmament meetings over coming years. A decade later, the CD still hasn't achieved consensus on its programme of work despite the best efforts of Clive and many others. Clive put his time as Disarmament Ambassador to maximum use, however, and was very active on the full spectrum of disarmament-related issues. He led New Zealand's delegation in the landmark negotiations in Oslo that resulted in the Anti-Personnel Mine Ban Convention in 1997. The New Agenda Coalition, which Clive helped to found, played a major role in the 2000 review conference of the nuclear Non-Proliferation Treaty. As chair of that meeting's subsidiary body on nuclear disarmament and with the invaluable assistance of his great friend Dr. Joan Mosley (then New Zealand's Permanent Representative in Vienna), Clive brokered a deal that resulted in agreement on the (as he put it) "all-singing, all-dancing" 13-steps to a nuclear-weapon-free world. And he was involved in the informal "Interlaken Group" from 2000 to 2001 that helped to prepare for success at the 2001 UN conference on a programme of action to tackle the illicit trade in small arms and light weapons. These are just a sprinkling of Clive's contributions. But even had he achieved less, Clive would still be remembered with great affection by virtually everyone who knew him in the Geneva context. He was hugely charismatic and great fun, not to mention elegantly attired. Ambassador Pearson's ability to sweep into a room and make most ladies' (and not a few gents') knees go wobbly was widely envied by the other silverback alpha males - but not successfully replicated. In a relaxed moment, Clive would occasionally admit he could be a bit of a prima donna. Subordinates recall his preference for being called "Glorious Leader", although this was (probably) an affectation. Nevertheless, in line with the deadly professional seriousness with which Clive took his responsibilities, very high standards were expected of those who worked with him. He informed new subordinates, only half-jokingly, "your job is to make me look good". Fortunate then that he was so talented at getting the best out of those who were prepared to try to do so. Those few people Clive had little time for invariably deserved it, usually being one or more of the following: lacking in deference, impolite, incompetent, deceitful, ungracious or a whinger. Perhaps it was his upbringing in the Presbyterian chill of Dunedin, but Clive detested miserliness most of all. And he wasn't fond of “puffed-up wind bags” either - as a select few in Geneva and even in Wellington discovered to their cost. While always very conscious of his responsibilities as a senior diplomat and Head of Mission, Clive was also a loyal and supportive person, and was a formative influence in the professional development of a number of young diplomats in Geneva. When asked to be, Clive could always be depended upon to be a frank, yet good-humoured, sounding board. Indeed, if asked nicely enough he was also usually willing to take one for a spin around Lac Leman in his very rapid black Mercedes cabriolet “play car”. This was always good for one's spirits. Meanwhile, it was the responsibility of any person on Clive's team to "look decorative". Newbies were inspected, spun-around and remedial advice proffered: "Lose those specs, you look like Nana Mouskouri" or "we need to get you into a new cozzie and some six inch heels, inst!" For the boys, French-cuffed shirts were mandatory. It was not entirely unheard of for colleagues at the Mission to be sent home to change for incurring his sartorial displeasure. "It's got to be immaculate", he would say. Clive was also a widely respected authority on interior decoration, although his basic rule seemed to boil down to "everything in twos, and lots of cream and black". He only got half way there with his pair of marmalade Abyssinian pussycats, the adorable Benson and Hedges. While lacking in deference and uniquely destructive of New Zealand government furnishings, the pussycats gave him great companionship, not to mention the many official and informal dinner guests they harassed. Like his Abyssinians, Clive had an acute sense of tactical opportunity. He loved nothing more than settling down with Mont Blanc fountain pen in hand and "ciggie on the go" to "dabble in a bit of drafting mischief". And his talents as a drafter were formidable, a crucial skill for good disarmament negotiators, as many speeches, multilateral agreements and diplomatic cables reporting on them come down to the appropriately nuanced formulation of words. Combined with his drafting skills, Clive’s great powers of persuasiveness made him a difficult negotiator for others to hold back. "We're not having that,” he'd say with a sweep of his hand, and that would be that: others usually had no choice but to be carried along by his enthusiasm and scary competence for whatever he'd decide to have a crack at. This was a refreshing trait in an ambassador, and it kept diplomatic colleagues on their toes. In 2002, after a distinguished posting, Clive returned to Wellington. There, after running various divisions of the foreign ministry, he became special adviser to the New Zealand government on multilateral affairs - tackling yet more tricky diplomatic challenges with his usual aplomb and humour. From time to time he would turn up briefly at some multilateral meeting in Geneva, usually with a cheeky grin and draft text in the back pocket: "we've got yet another triumph on the go" he would chuckle over a drink or comfort food with old friends in the Café Bourg de Four, which he had long before affectionately dubbed "The Slophouse". All was not well, however, and ill health intruded more frequently. Recently he took a turn for the worse. Just after the Queen's Birthday weekend, Clive passed away in a hospice in Wellington, with some of his nearest and dearest such as Joan close by. Clive’s funeral was held in Wellington cathedral last Friday, and messages were read from the Prime Minister and other notables. The head of the Foreign Service delivered the eulogy. The New Zealand flag draped Clive's coffin along with white lilies (his favourite flowers). The clergyman was appropriately sonorous, and the pallbearers were reported to be a judicious mixture of the distinguished and the decorative, as he would have liked. We already miss him deeply, and can't really believe he's gone. Negotiators rely on experience and “gut” feelings when carrying out their work, as many people do in their day-to-day interactions. But relying on our intuition can allow hidden biases to influence our decision-making, leading to flawed outcomes based on misjudgments. Researchers Keith Stanovich and Richard F. West have outlined two types of thinking: System 1 thinking, which is based on intuition, and System 2 thinking, which is based on logic. System 1 thought is characterized by fast, automatic decisions that can be influenced by our emotions. When we’re rushing, juggling a lot of information at one time or multi-tasking, we tend to fall back on System 1 thought. We also rely on System 1 thought when we experience “cognitive overload,” something that happens frequently in multilateral negotiations due to the complexity of the task. System 2 thought is slower and more logical, requiring conscious effort to weigh options. We can’t, of course, always engage in methodical System 2 thought because we don’t have time. And, many decisions don’t require this level of brainpower. Complex negotiations, however, often do. Max Bazerman and Deepak Malhotra, both from Harvard Business School, recommend four strategies to keep our intuition-based decision-making in balance with System 2 thought. First, they recommend making a “System 2 list” about once a month, identifying the most important meetings or negotiations that require intense thought. “Such negotiations might concern lots of money, complex issues, multiple parties, key strategic partners” etc. The second strategy they recommend is to keep time limits to a minimum. When negotiating gets down to the wire, System 1 thinking tends to take over – potentially foiling solid work that was accomplished earlier. Building some extra time into the agenda might help minimize the negative consequences of time constraints. Bazerman and Malhotra’s third suggestion is to design negotiations to ensure participants have the opportunity to “rethink or restrategize” at regular intervals during the proceedings. This creates space to deal with unexpected information and to organize well-reasoned responses. It also helps to distribute materials that may generate comments well in advance of a meeting, allowing participants to collect their thoughts without time pressure. Finally, they suggest adopting an “outsider” lens when considering the issues to be negotiated: an objective view is critical to overcoming biases like the overconfidence bias that leads some to greatly overestimate their chances of success in a negotiation. Although adapting these suggestions to multilateral negotiations will present new procedural issues for those involved – like increased cost to governments because of an extended meeting, for example – creative ways to implement these suggestions may emerge if we give them some careful, objective and long-term thought – System 2 thought, in other words. Posting based on a short article by Max Bazerman & Deepak Malhotra called “When Not to Trust Your Gut” published 31 July 2006 in Working Knowledge. 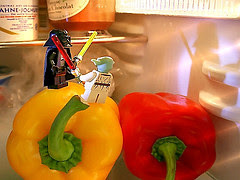 Photo from flickr.com at: http://www.flickr.com/photos/shutterscript/439085317/. Disarmament Insight note: this is part 2 of a 2 part posting. In my last blog entry I noted that there’s been minimal systematic attention given to subject of individual leadership in the literature on arms control and disarmament processes. However, leadership is an issue that concerns many organizational psychologists, which could have relevance to multilateral arms control and disarmament negotiations. In a paper entitled “Chief executive leadership style, consensus decision making, and top management team effectiveness”, Flood et al characterized ‘decision processes promoting consensus’ as those where there is a) greater information sharing among the group; b) greater collaboration amongst group members; and c) a focus on group rather than individual goals. Likewise, a consensus decision-making process in a multilateral negotiation is preferable if the treaty has any chance of being willingly implemented by all its parties. 1. Authoritarian or autocratic leadership. 2. Transactional leadership: influence via exchange of valued rewards for services/behaviours. 4. Laissez-faire leadership: avoiding decision making and supervisory responsibility. 2. These levels of CEO dominance can positively or negatively influence consensus style decision-making. Not surprisingly, decision-making processes were more “consensus style” when CEOs were less dominant i.e. they had a more transactional or transformational leadership style. Conversely, a CEO with an “autocratic style” often transformed a collaborative situation into a competitive one. Consensus decision-making was not forthcoming with leaders of a “laissez-faire” style as they did not give their team any coherent direction or strategic focus. What makes this information important to the practice of multilateral arms control and disarmament negotiations? First, the fact that different leadership styles can negatively or positively affect consensus decision-making has important implications, I believe, for the design of multilateral processes. In order to make multilateral processes more manageable, the issues under negotiation are often divided into “clusters”, with each cluster chaired by a different individual. It’s not uncommon, therefore, for a multilateral negotiation to have more than one chairperson and numerous co-chairs. However, knowing what we know now, is this really the most efficient way of organizing a multilateral negotiation? This is a particularly important point to consider, especially when consensus on the final document depends on collective agreement being reached in all cluster groups. Second, it brings further into question the wisdom of certain rules, procedures and standard practices governing the chairing of multilateral negotiating bodies and processes. The rules of procedure in the CD, for example, dictate that the chair rotates every 4 weeks on the basis of alphabetical order of member states. To what extent do the different leadership styles and approaches to consensus-decision making by each new chairperson impact progress in the CD? Can certain steps be taken to optimize the impact of leadership styles in multilateral negotiation processes? In my opinion there’s still a lot of research to be done before this question can be definitively answered. In the meantime this type of research may provide some food for thought for those who believe that the success and failure in arms control and disarmament is determined solely by the level of ‘political will’ among states. Patrick C. Flood et al, “Chief executive leadership style, consensus decision making, and top management team effectiveness” in European Journal of Work and Organizational Psychology, 2000, 9 (3), pp. 401-420. Disarmament Insight note: this is part 1 of a 2 part posting. I believe that style certainly plays an important role for a chairman – and Jean Ripert’s style certainly fit the challenges of this negotiation. Most of the time he acted with an almost palpable slowness: but this was on the surface. While explaining technical or legal details pertaining to the negotiation in painstaking (some would say irritating) detail, his mind was searching out solutions and anticipating ways to avoid blocked solutions. It became clear that this was his method of work. The overall effect inspired broad confidence in his leadership. In the final stages, when heads of key delegations were invited by the chairman to negotiate the final texts and thrash out the last difficulties, we were all impressed by the sharpness of the picture he laid out before us. Ripert’s leadership style did not exclude the human touch. He was able to remind the negotiators of the real issues beyond the drafting and of their responsibility to the international community without sounding condescending or offensive. I’ll take a chance here and suggest that Ripert’s leadership style is precisely Daniël Prins’ idea of how to be the “master of business”, while allowing the group to arrive at consensus themselves. More broadly, leadership in multilateral negotiations is not something that is subjected to much systematic analysis. The description of Jean Ripert’s chairing style has always remained with me because it’s one of the most candid and forthcoming accounts I’ve come across in any of the literature I’ve read on multilateral processes. Most analyses give only a cursory account of a chairman’s “weak leadership” or “forceful personality”. Details are not forthcoming – not surprising when political sensitivities are at play. Moreover we rarely get an insight into the chairperson’s perspective. I, for one, would like to learn of the techniques which enabled these individuals to foster consensus among so many negotiating parties. Is there a right or wrong time to introduce a chairman’s text to the plenary for example? If there is a Chairing Multilateral Negotiations for Dummies out there, I haven’t found it. Moreover, as John Borrie and I pointed out in a paper we co-authored in our first volume of work, strong leadership is just one of the many ingredients required to make a multilateral negotiation successful. Successful processes usually benefit from having patient, knowledgeable and diplomatic principals nudging negotiating parties along. But how important is a chairperson to fostering consensus in a multilateral negotiation process? This question is of particular interest to me because I’ve attended multilateral negotiations where even the most seemingly capable chairperson was unable to broker consensus among the parties. There may be no definitive explanation for this. But in my search I’ve been reading a lot of work in the realm of organizational and leadership theory, which has led to some interesting (well, I think they’re interesting...) insights which I’d like to share in my next blog entry. B. Kjellen, “A Personal Assessment”, in I. Minter and J.A. Leonard (eds. ), Negotiating Climate Change: The Inside Story of the Rio Convention, Cambridge: Cambridge University Press, 1994, p. 153.